From the early 1990’s, Syrophenikan is an instrumental industrial album with an dark ambient feel. Sound fx and very electronic sounding drum machines and bass synth fill most of the tracks. This might fit in a cyberpunk world. 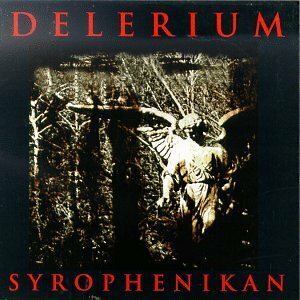 It seems like Delerium tried to go more heavily electronic on this album and go less for the dark ambient tracks, and of their early work this might be my least favorite. “Twilight Rituals” is the only track without electronic percussion and an industrial feel.